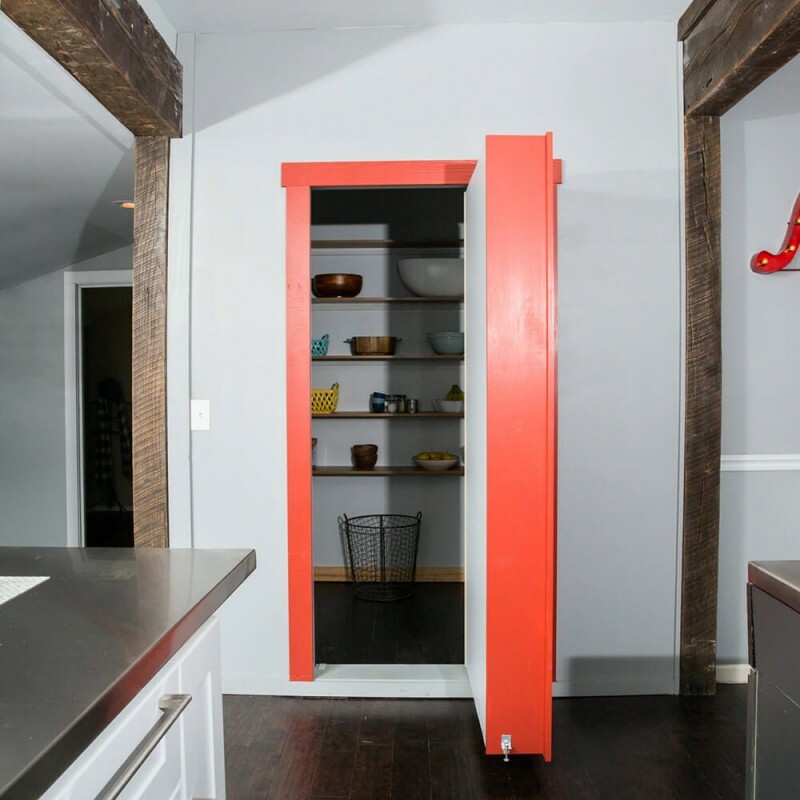 Do you have doorways in your home taking up valuable space? 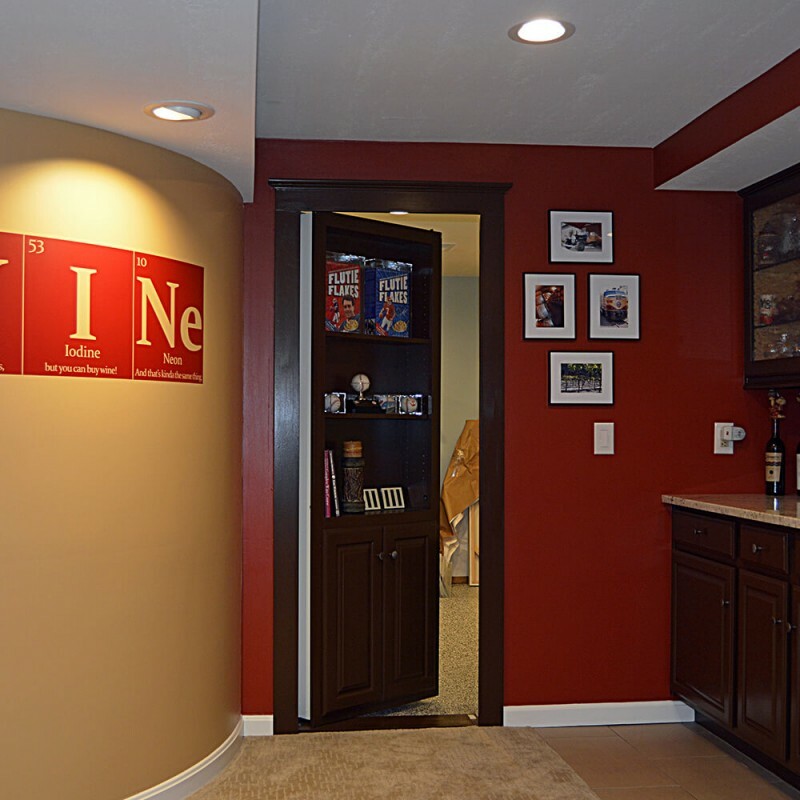 Here at Murphy Door we have the solution! 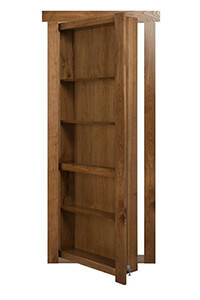 Why not take this opportunity to evolve that void space into a beautifully crafted cabinet doorway? Let Murphy Door transform your otherwise boring doorway into an exciting space-saving work of art! 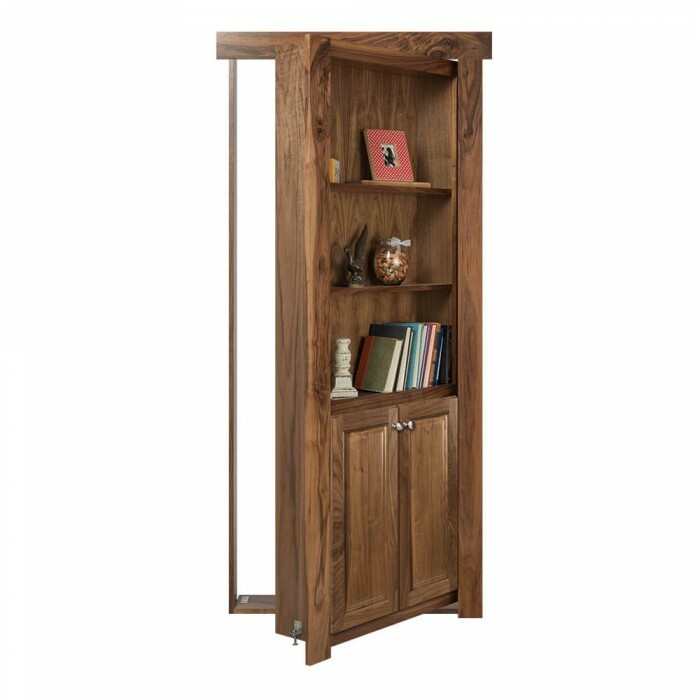 Our Flush Mount is not just a door; it will also give you that much needed storage space you desire. Our Flush Mount assembly is a functional cabinet that provides you a variety of storage uses. Each Flush Mount supports up to 300 lbs. ; and during operation, valuables and books will stay in place. Every Murphy Door is manufactured and assembled in the USA. 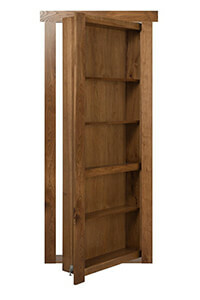 Each pre-built unit comes with a limited lifetime parts and manufacture defect warranty. 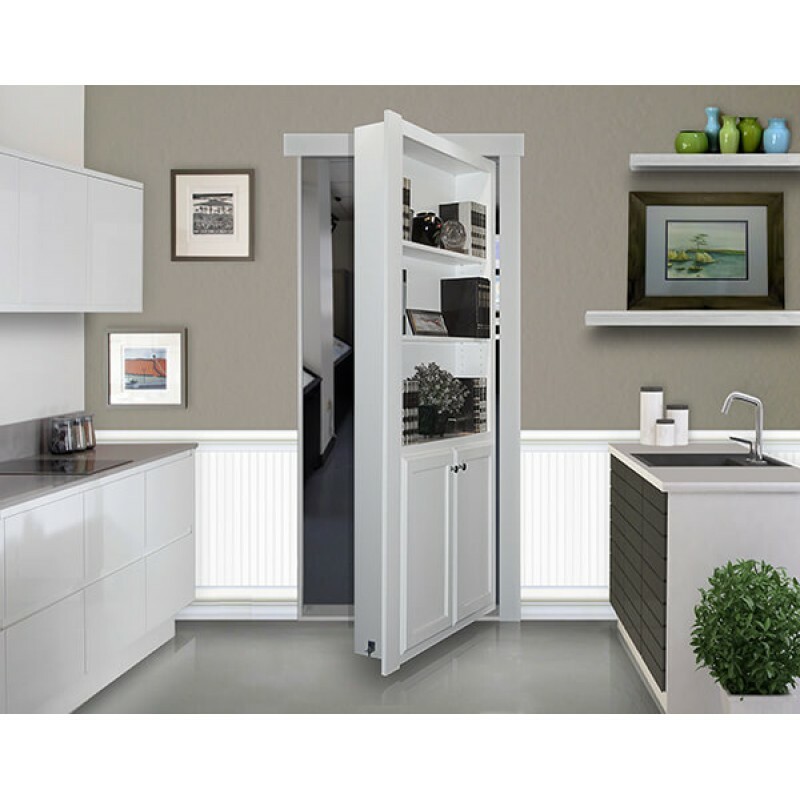 The Flush Mount door comes assembled and will include all the necessary hardware (installation required). 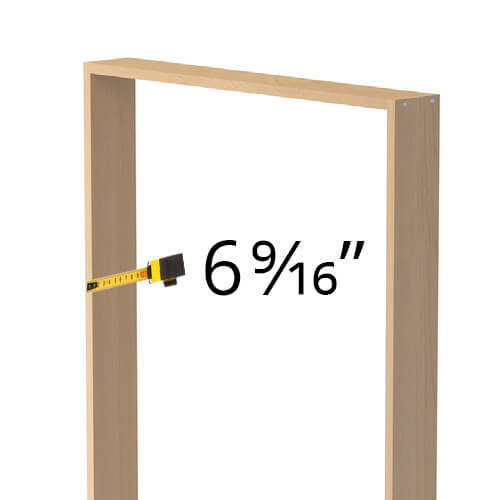 Even a DIY handy-man can install this wonderfully engineered piece of furniture. 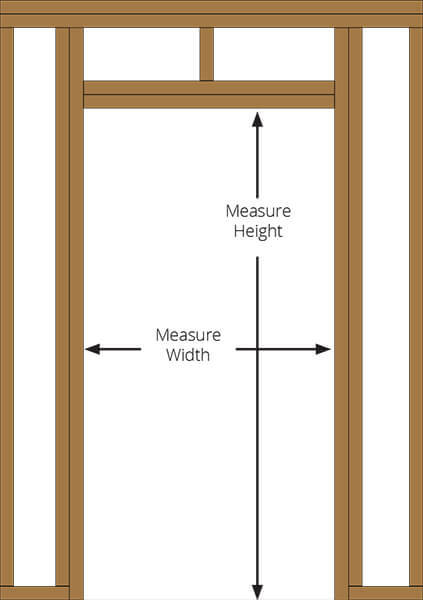 While sizing up your new door, please keep in mind Murphy Doors fit in the standard 82 in. rough opening height. Installing a Murphy Door adds excitement to any existing opening. 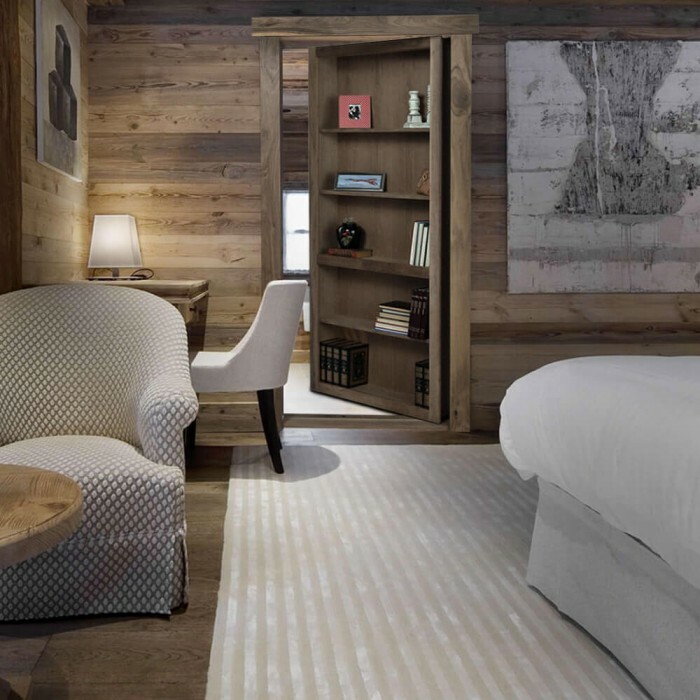 A Flush Mount can transform an ordinary doorway into a secret passageway, hidden door or can even give you an additional level of security for any safe or panic room without having to retrofit the opening. 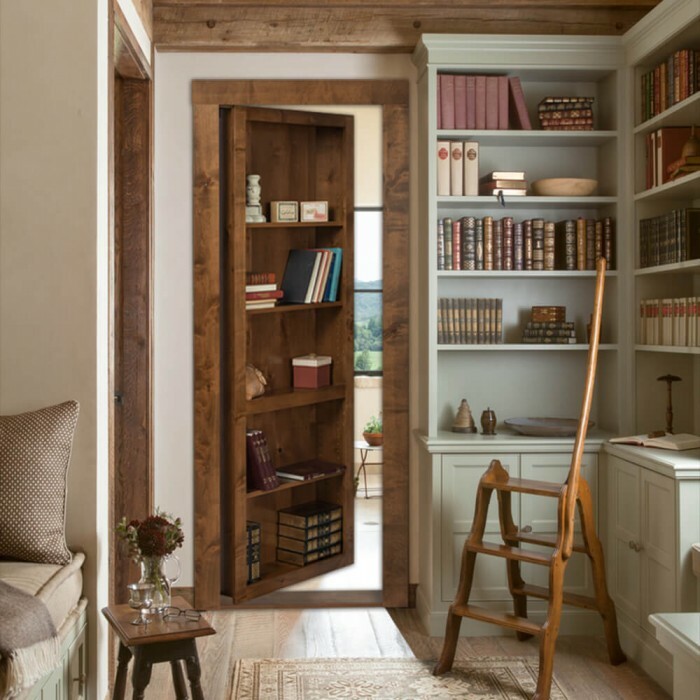 With the price of homes on the rise, a Murphy Door is a fantastic way to not only beautify your home, but maximize your square footage. 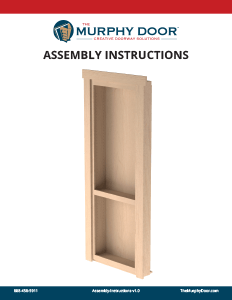 Includes every component necessary to build your very own Murphy Door. 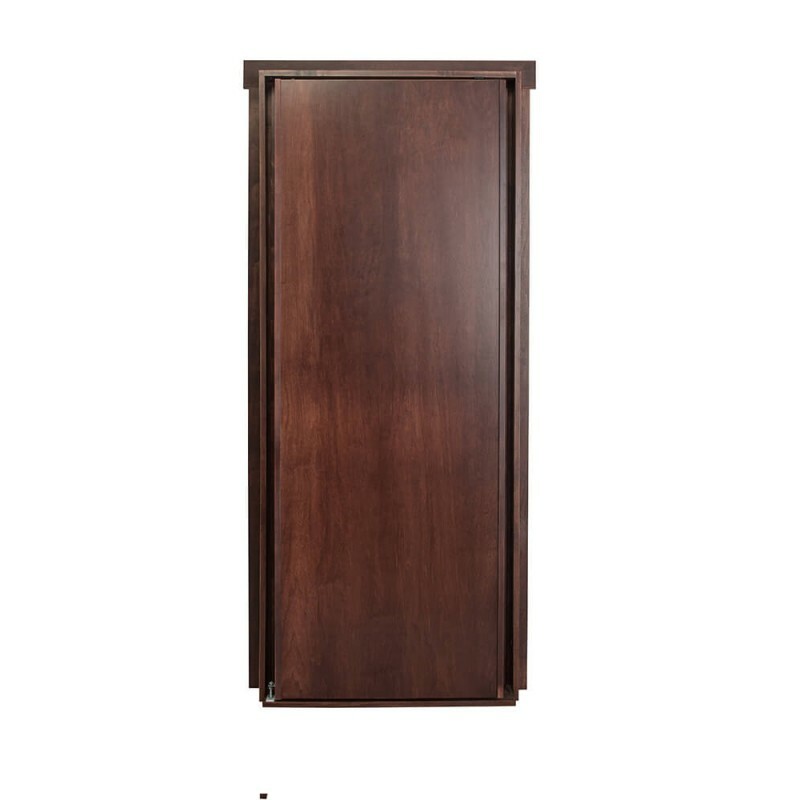 *Disclaimer: All doors wider than 40" will not be warrantied against sagging or twisting due to their size. Flush Mount Door weights range between 80lbs and 150lbs depending on the options selected for the door. 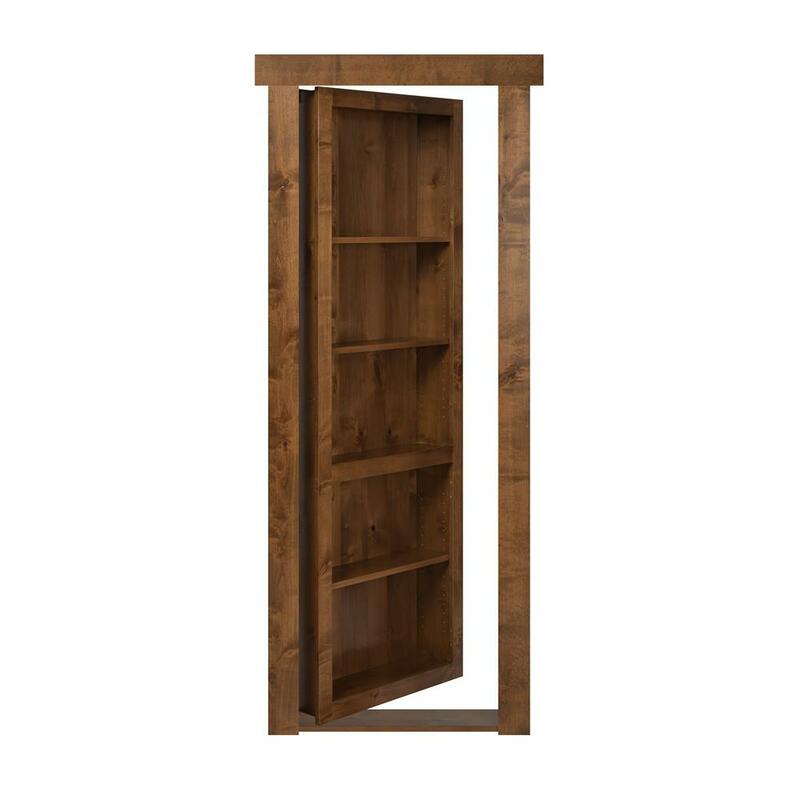 24" Bookcase Rough Opening is 26"x82"
26" Bookcase Rough Opening is 28"x82"
28" Bookcase Rough Opening is 30"x82"
Please note: All final measurements submitted for order by a customer and given to us by the customer is the responsibility of the consumer to insure the measurements are correct, Murphy Door Inc. will not be liable for any incorrectly ordered product by customer, regardless if Murphy Door process the order on your behalf or not. Please verify your sizing after order on your invoice to insure it was processed correctly. If there is an issue please contact us immediately. 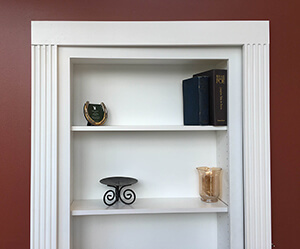 Murphy Door has changed the Custom order and now offers several common sizes but are still isted as custom. All custom sizes are sizes not inventoried and will be made per order. the Custom ship time frames change frequently, please check shipping tab for further information on current expected ship times. * Door sizes 90" and taller are a $250.00 charge to accomodate the additional freight for shipping the door laying down requiring two pallet spaces on a freight truck. * Standard Door Width 24"-36"
* Custom width 38" to Maximum 48"
* All doors listed with custom in front of the width or height will fall under the custom shipping schedule. Special Order doors available: If your door is different than doors offered on our site please call us at 1-888-458-5911 for a quote. FREE product pickup available to contiguous US customers by picking one of two warehouse locations during checkout. 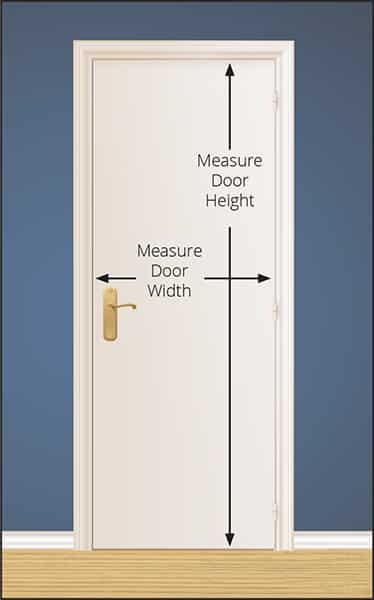 * Door Depth: Need Help? 24" 18 1/4" 1 1/2"
26" 20 1/4" 1 1/2"
28" 22 1/4" 1 1/2"
30" 24 1/4" 1 1/2"
32" 26 1/4" 1 1/2"
34" 28 1/4" 1 1/2"
36" 30 1/4" 1 1/2"
24" 17 3/4" 5 1/2"
26" 19 3/4" 5 1/2"
28" 21 3/4" 5 1/2"
30" 23 3/4" 5 1/2"
32" 25 3/4" 5 1/2"
34" 27 3/4" 5 1/2"
36" 29 3/4" 5 1/2"
Spice Rack Shelves: Need Help? 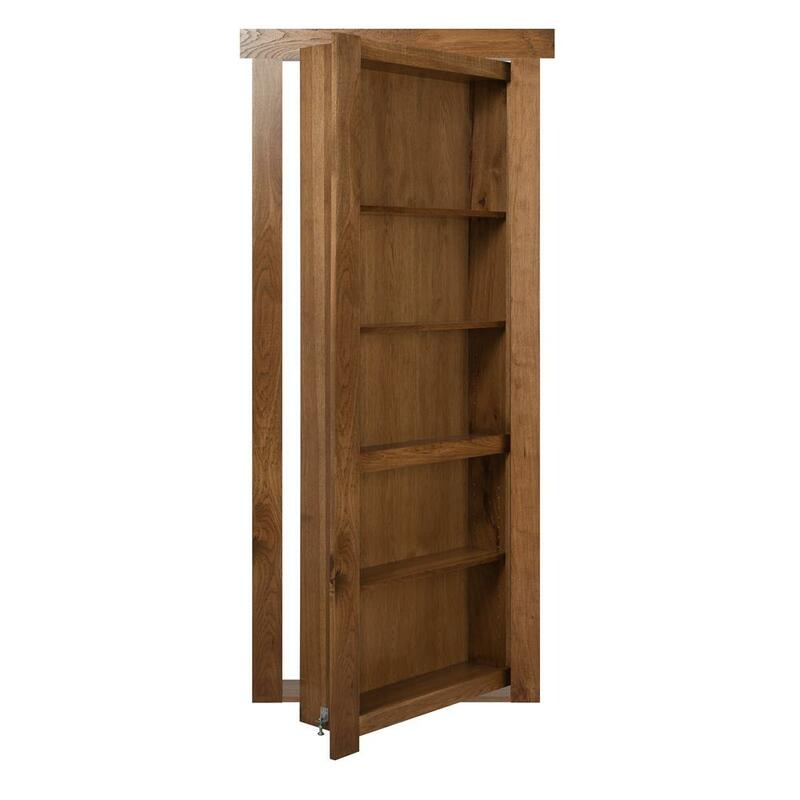 The new spice rack shelf has 2 graduated levels with horizontal wood dowels to prevent your spices from sliding off the shelf while in motion.